Since 2004, the month of November has been hijacked by a foundation that has the express purpose of promoting the awareness of and raising money for men’s health issues such as prostate cancer, depression, and, since 2010, testicular cancer. Originating in Australia and now prevalent throughout the world, the charitable movement encourages men to grow sponsored moustaches in November – the term Movember was coined. 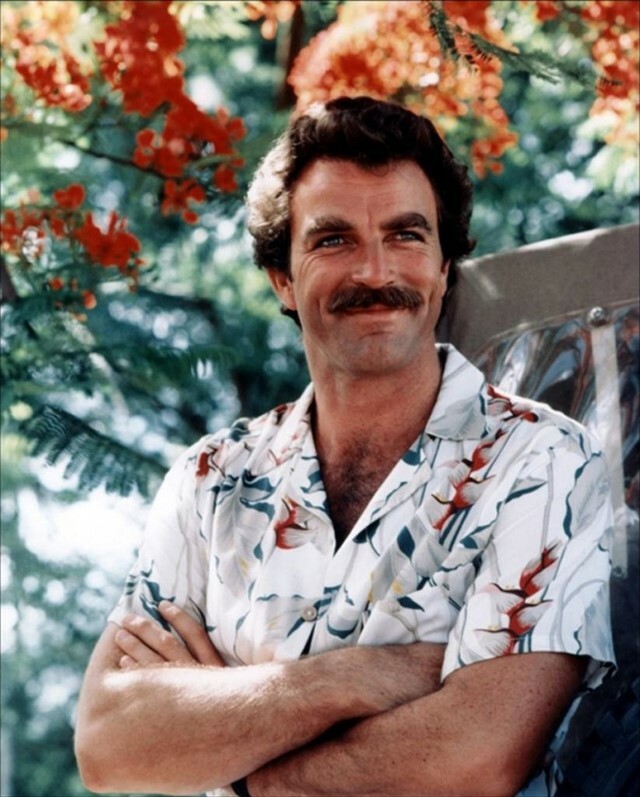 In celebration of Movember, we take a look at the style legacy of a man who is, for many, the very pinnacle of aspiration for male facial hair, Tom Selleck. The actor is best known for his role of private investigator Thomas Magnum in the Hawaii-based cop show Magnum P.I. The thoroughly 80s styling included linen suits, Hawaiian or safari shirts, frequently open, and countless Speedos, all accessorised with a pair of aviator shades and a what is often cited as the world’s greatest moustache – a moustache that, at the time of this article being published, has almost 20,000 Facebook fans. Suggested Reading: Read about Another Man editor Ben Cobb's favourite moustaches of all-time here.